There are certain products that are created specifically to make our lives a little bit easier. We find these things being used around our homes, and many of us take them for granted. In all reality, they have drastically improved the quality of Our Lives. Among these seemingly mundane items are the motorized blinds. If you haven’t heard of this product yet, then you’re going to want to pay attention. Anyone who’s ever had to deal with blinds as a window covering understands the hassle that comes with them. The hanging strings, the uneven sides, the broken and missing blinds, and the fragility of the entire setup. They never seem to work correctly when you need them too, and they’re constantly falling down and needing replaced. Traditional blinds are both ugly and cumbersome. They also have a tendency to be extremely inconvenient. There’s nothing like trying to get a bit of privacy in your home and instead of lowering the blinds, the entire wall mount comes down when you pull on the cord or twist the wand. This leaves you with an entirely new project to worry about for the day. Window treatments and curtains rarely provide the kind of coverage that we need when we don’t want others looking into our homes. 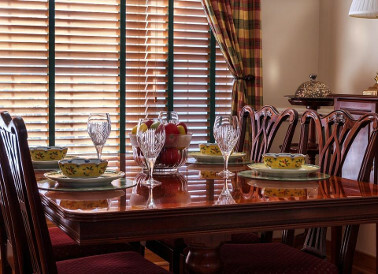 Blinds have always been the traditional addition that provided both convenience and privacy. Unfortunately, unless you can afford to constantly replace the blinds or to buy ones made of high-end materials then the convenience is short-lived. The problem has always been the need to constantly adjust the blinds by hand. With more contact comes more opportunity for damage. This is the product that makes remote control blinds affordable and attainable for everyone. It’s extremely simple to use, and gives your home a convenient and professional touch. This product is designed to work with both horizontal and vertical blinds. All you have to do is replace the wand that’s attached to the blinds with this product. Then, you can open and close your blinds with the touch of a button. This allows you to constantly adjust the amount of light and privacy throughout your day without having to get up and mess with the actual blinds. Other types of motorized blinds can cost thousands of dollars. This concept allows you the same convenience at a fraction of the cost. With the EZ Wand being located so close to the window, it makes perfect sense to make it solar compatible. This saves you both time and money. This is the most convenient and easy to use remote control blind system out there. By installing a tiny solar panel, you can virtually eliminate the need to plug this product in or to put new batteries in it ever. These products are a fantastic addition to both the Home and Office setting. Even if the remote should break, it’s extremely easy to order replacement products online.